Members of the Oxford Mail/Times chapel, the Oxford branch committee and the NUJ National Newspapers Organiser have paid tribute to William Crossley for all the work he put in to supporting members, over several years, as Father of Chapel at the Mail and Times. 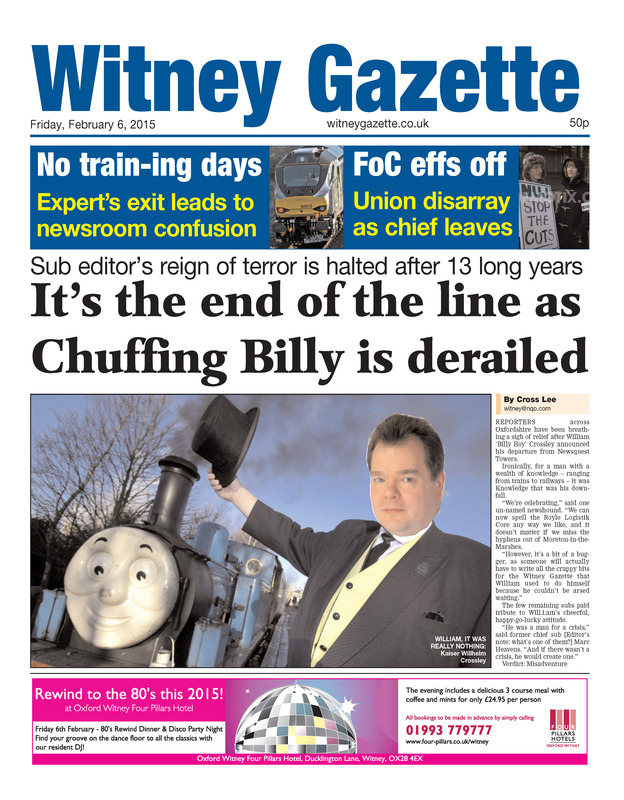 William left his job as sub on the Witney Gazette following Newsquest’s decision to move to a content management system operated by a subbing hub in Newport. His was one of around 15 subs jobs lost in this way. The “few remaining subs” at the Oxford Mail/Times group put together a farewell Gazette front page where they gave testimony, in their own particular style, to William’s fastidiousness and professionalism, acknowledging also the number of stories he regularly contributed to the paper. Even after leaving the paper, William remains engaged in efforts to ensure that the chapel continues to provide an effective voice for the journalists at a very uncertain time. 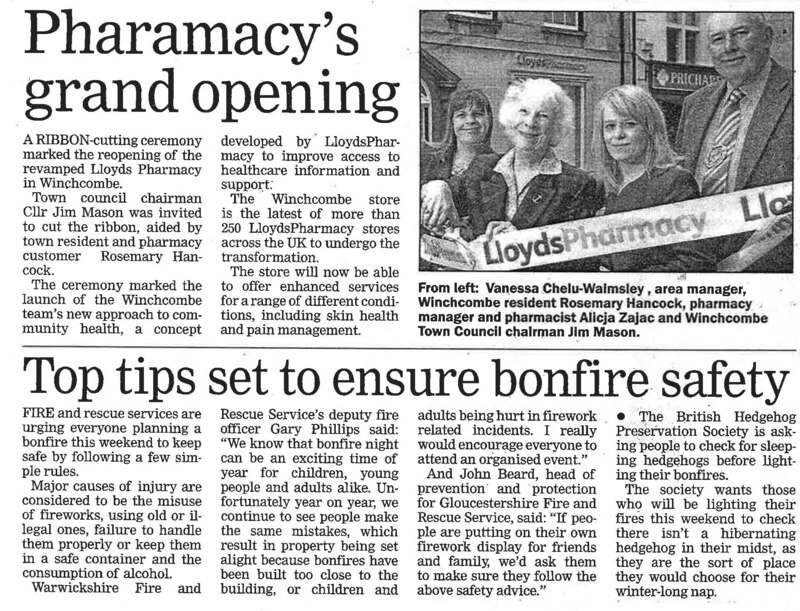 He has also promised to continue to catalogue the more high-profile gaffes that are published in his own local paper, The Cotswold Journal, which has been subbed by the Newport hub for more than a year now, producing some superb examples, one of which can be seen below. We can therefore look forward to remaining in regular contact.